The backlash to Fraser Anning’s controversial speech continues, with his adviser Richard McGilvray resigning amid the outrage. FRASER Anning's adviser Richard McGilvray has resigned over the backlash to the senator's maiden speech. In a social media post, Mr McGilvray said the Katter's Party senator's use of the term "Final Solution" - which was widely condemned across the nation - was not something he'd been made aware of prior to the Tuesday night speech. "I do not condone Senator Anning's speech. His reference to 'the Final Solution' was not something I had seen, heard of, or discussed prior to his remarks last night and as a consequence, within hours of Senator Anning's speech, I resigned my position effective immediately," he said. 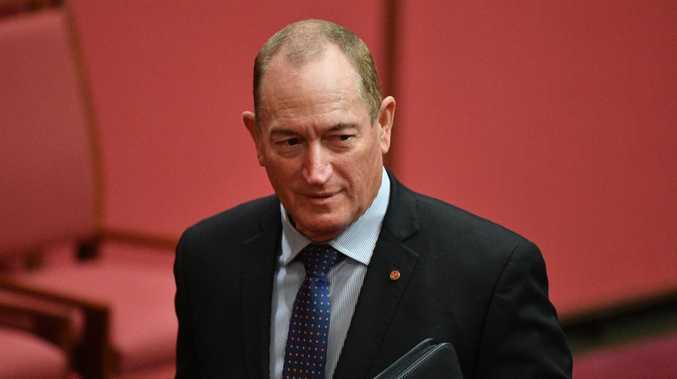 Mr Anning sparked nationwide outrage after he evoked the language of Adolf Hitler in his maiden speech to the Senate. He took to live television yesterday morning to defend his remarks, which were widely condemned by politicians, commentators and the general public. "I think that we can't take the risk of bringing people into this country that commit crimes like the Bourke Street massacre or the one we just saw in London today," he said on Today. "I think we have to protect Australian citizens." When he was asked about using the Nazi term "Final Solution" in his speech yesterday, he said he "didn't even think" about whether it would be offensive. "All I said was the final solution to the immigration problem is a vote of the Australian people," he said. "That has nothing to do with the 'Final Solution', the thought police got onto that. "For everyone to take it out of context is a joke and try and shut down debate. "Good men died for our right to say whatever we want to say and use whatever words we want to use. "If people want to take it out of context that's entirely up to them. It was never meant to denigrate the Jewish community and it's two words and if that offends anyone unfortunately that's the way it has to be. "I don't regret anything. I'm not going to apologise or regret anything I say." Yesterday afternoon, Bob Katter gave a bizarre interview backing his embattled party colleague "1000 per cent". He told reporters the speech was "absolutely magnificent" and "solid gold". "You don't have to be Albert Einstein to see that we, as a race of people, we Australians, are being buried by a mass migration program to line the pockets of the rich and powerful," he said. "The ALP, and more particularly, the LNP, are bringing 630,000 people from overseas, from countries with no democracy, no rule of law, no egalitarian traditions, no Judaeo-Christian traditions - 630,000 a year and they don't go home. the persecuted minorities. Why aren't you bringing in the Sikhs? Why aren't you bringing in the Christians? Why aren't you bringing in the Jews?" The speech has prompted an angry backlash from pollies, with everyone from Prime Minister Malcolm Turnbull to One Nation leader Pauline Hanson condemning him for it. 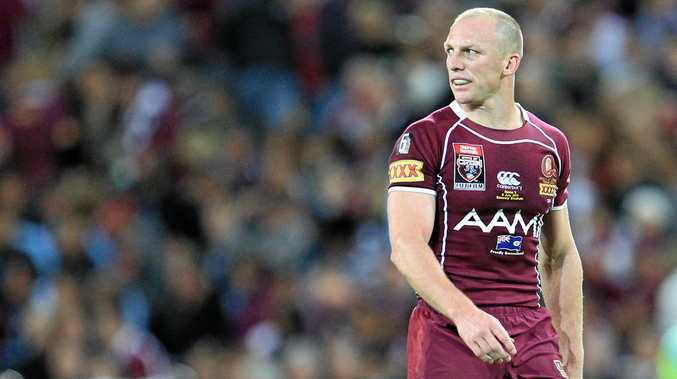 Rugby League One of the country's greatest sportsmen is coming to town next month.